In a rare moment, last night we took in a concert, ( tickets courtesy of our oldest daughter ), at the Hard Rock Live at the Hard Rock Cafe here in Hollywood, Florida. There are 5500 seats, we had floor seats in the last row. The sound was nice and loud but not ear shattering. (thankfully ) A large screen on either side made sure you did not miss a thing. Tommy James and the Shondells were the main act. 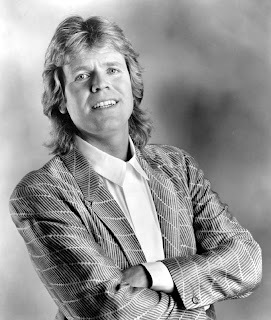 Opening for them were Herman's Hermits. I was unsure how that was going to work out, could an act from the early 60's hold my interest? Boy was I wrong. The man is a showman! I was happily surprised.He interacted well with the audience, telling little stories, showing a great sense of humor and timing. He did a mini British invasion ( the one the British won ) of songs from different acts, even doing Tom Jones, Mic Jagger, Johnny Cash, to name a few. A tremendous amount of energy was shown through out his set. I think his voice was better then ever. Strong, clean, he hit every note. He won everyone over. From now wondering could we sit through it to wondering could Tommy James top him. 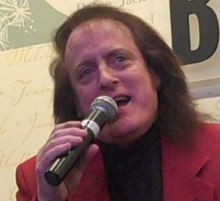 The introduction of Tommy James pointed out there have been 300 cover versions of his songs, including Dolly Parton and Prince. 23 gold records, several double platinum albums, 100 million songs sold world wide, a broadway show about him next year, soon a movie about him, and a book out now about his life and career. All the hits from both sounded like you remember and grew up with over the years. We had a great time. I think we will be back, even though it was long drive to get there, the ride was worth it. Peter Noone plays in Las Vegas quite frequently and I've heard he puts on a great show. Your review seals the deal--next time he's in town, I'm going to make the effort to see him! OMG, It's True, Now I have Seen It All! I Need Some Rock And Roll!